It’s Springtime… the best time of the year! Everything is beginning to grow and bloom. The days are longer, the sun stronger and the birds are chirping. 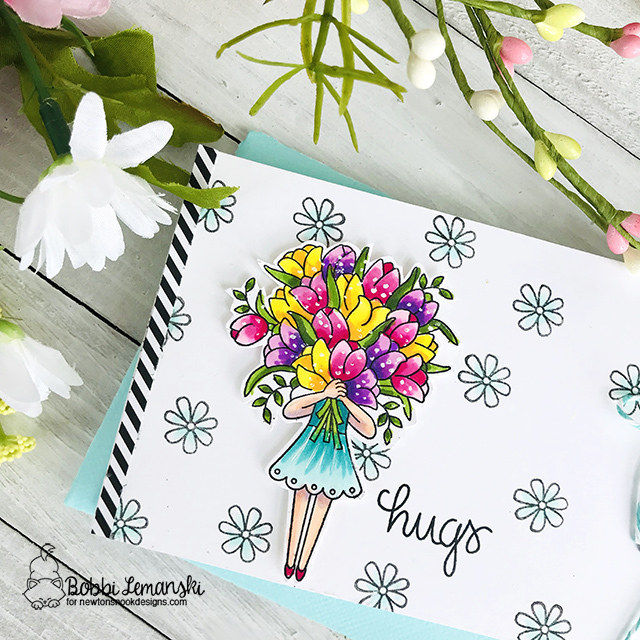 The theme for the Newton’s Nook Designs, Inky Paws Challenge #93 is a spring-themed. What better way to participate than with a large bouquet of tulips! I created this card using the stamp set, Load of Blooms. I created a 3-1/2″ x 8″ card. This size works great for money gifts because you don’t have to fold the money inside. It also works well for a check or paper gift certificate. 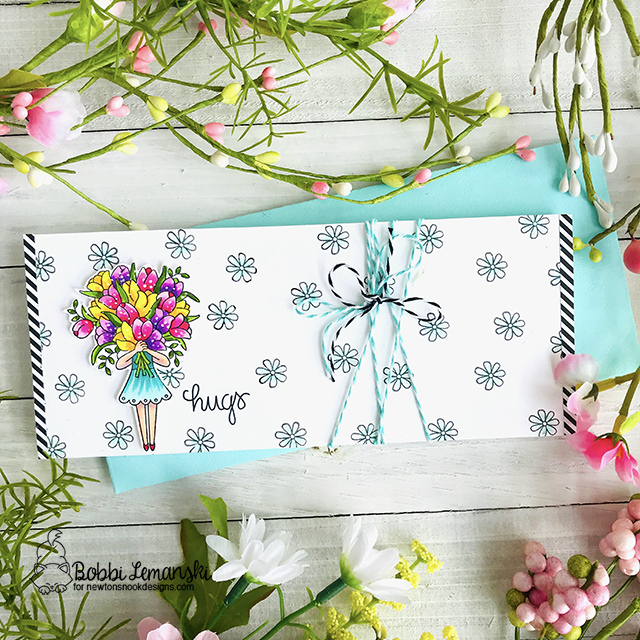 I made a matching envelope using my envelope maker to get just the right aqua color to match. 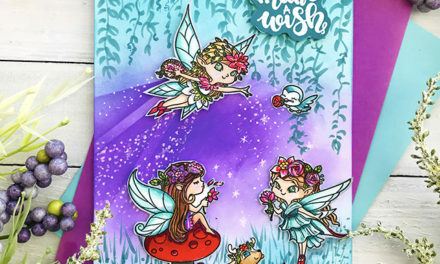 The image was stamped and colored with Copic Sketch Markers. The cute girl image is “popped” up using Scotch Cushion foam to really stand out. I added some pattern paper in black and white to the edges for high contrast to the bright colors. 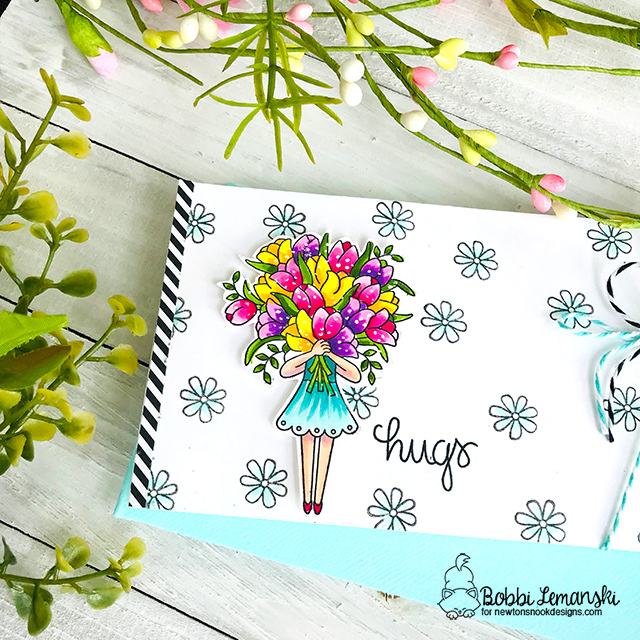 A small daisy design was also stamped on the background and colored with a BG11 Copic color. Lastly, I added Baker’s Twine in aqua/white and black / white to balance the image on the left. 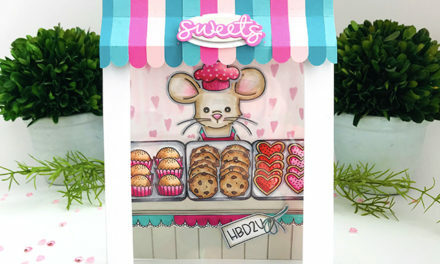 Inky Paws Challenge #93 ends on Friday, 3/22/2019 so link up your card soon so you don’t miss it! 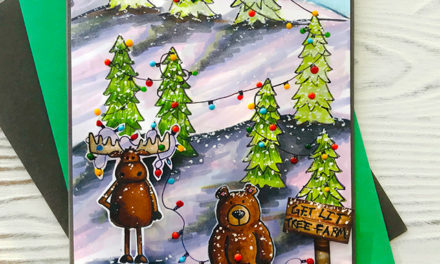 One lucky, random winner will win a $20 gift certificate to use at Newton’s Nook Designs. 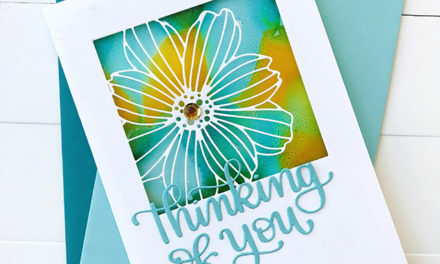 All you need to do is create a spring-themed project using Newton’s Nook products. Thanks for visiting! Hope your day is filled with fresh and happy thoughts! PreviousMore Rainy Days In Store for Us! This is gorgeous! I love the coloring with the added white details and the long size is so unique!